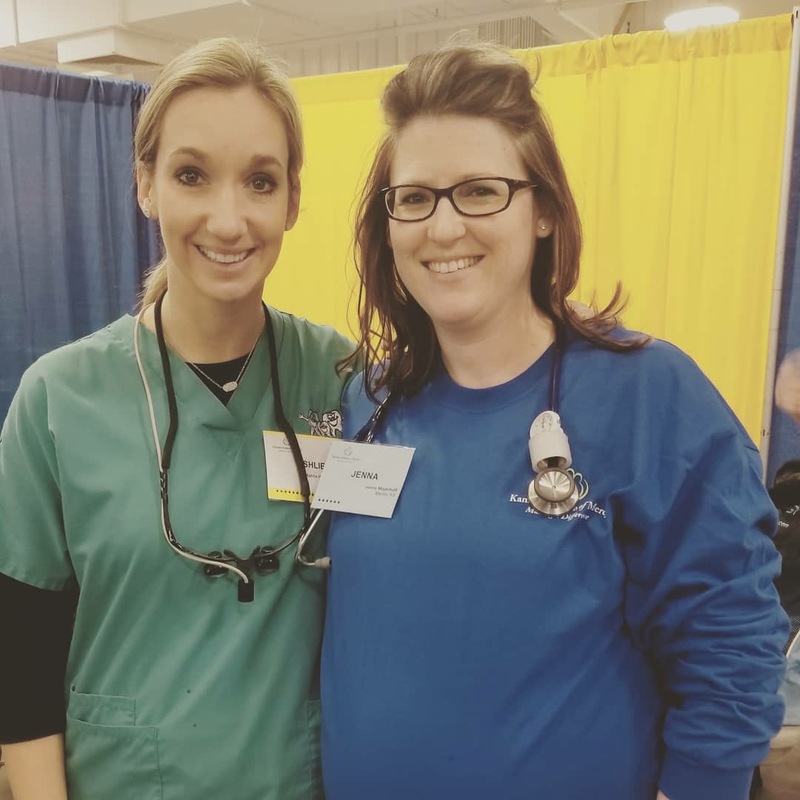 Working in the Emergency Department at Newton Medical Center, Jenna M., RN, BSN, is a witness to the struggle her patients go through with dental pain and/or issues due to not having insurance. So when a friend told Jenna about a free dental clinic that helps these patients, she wanted to be a part of it. 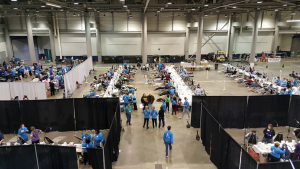 The Kansas Mission of Mercy (KMOM) free dental clinic is an event organized by the Kansas Dental Charitable Foundation. 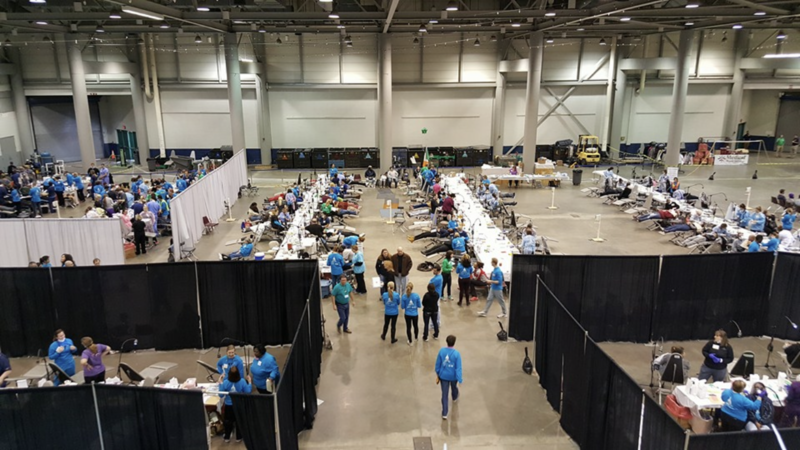 Every year, for two days, dental and health care professionals volunteer their time to provide dental care to both children and adults who don’t have dental insurance. As a health care professional, Jenna assists with medical triage, going over medications and medical history, and ensures patients meet specific criteria before they receive care. Early each year, the event rotates to a different part of the state. Having volunteered for KMOM for the past six years, Jenna has traveled to Wichita, Salina, Manhattan, Dodge City, Topeka and, most recently, Hutchinson.